This winter, while I’ve been in the desert, I’ve been working on some changes to Cozy. Most of the changes are decorative but a few are functional to make life a little smoother. This photo shows Cozy mid-transformation. Can you spot any of the changes? 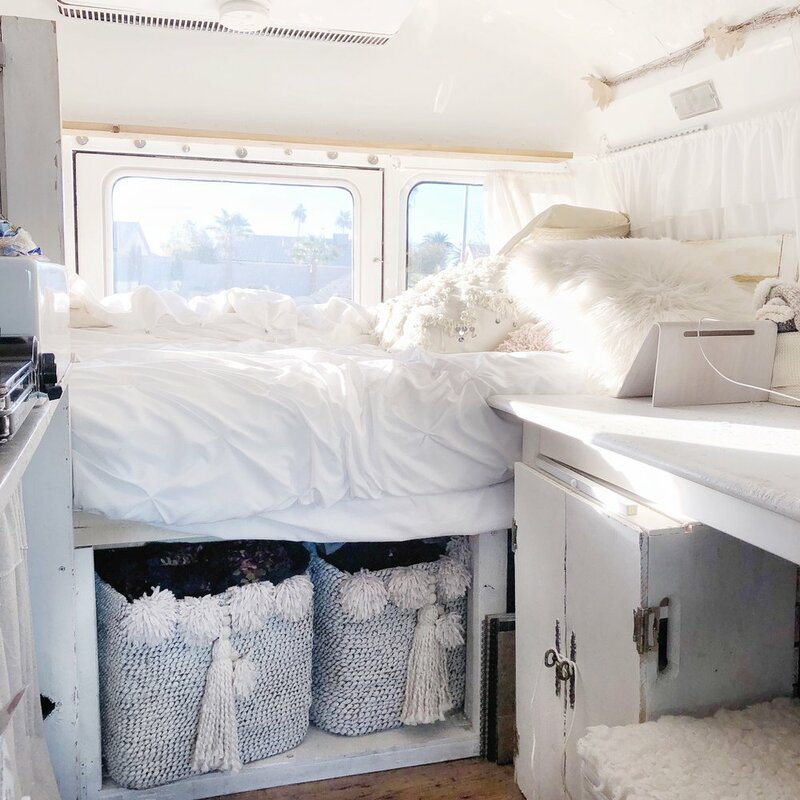 I removed the large metal flower, added a shelf above my bed, new cabinet under the table (to hold paperwork and artwork), white washed my clothing storage baskets and added pom pom’s and tassels. I plan to go accessory shopping this weekend, and then I will style her and do a glamour-girl photo shoot, and share pictures of all the changes.